Paybase - Innovation in Customer Due Diligence – What stands in the way? In the competitive landscape of financial services, are the banks’ methods of Customer Due Diligence (CDD) outdated? Banks have traditionally operated through ‘in person’ relationships to perform their CDD responsibilities. Typically, to open a bank account you would walk in, provide two forms of ID, the branch staff would make copies, perform an initial assessment and then your details would be passed to the CDD team for further review. Only after all of this, and after a few days, will your account be opened. If you are a small business or charity trying to open an account the requirements are even more extensive and could take months - assuming your business model is even within the bank’s risk appetite.1 While having this ‘in person’ relationship with your customers is valuable, it is rife with potential errors and downfalls in performing effective and accurate CDD. What can FinTech offer to innovate this traditional but outdated process? The traditional approach to performing CDD is incompatible with today’s technology aware customers that want easy and instant access to payments and banking services. Regulated financial firms need to determine the fastest, most compliant and risk appropriate way to onboard potential customers in a world of ever changing and ever increasing regulatory obligations. The biggest challenge for banks is making the transition to incorporate digital solutions into their CDD processes, due to the constraints of legacy technology, their size and diverse regulatory obligations.2 Digitisation, agility and access to cutting edge tech is where FinTech thrives. New emerging FinTech firms are perfectly positioned to meet these evolving challenges as they, unlike banks, derive their competitive advantage through technology. That is not to say FinTech provides the complete off the shelf solution today but it does indicate that banks and FinTech firms will have to collaborate in the coming years in order to thrive in the ever demanding customer centric world. Ultimately, both Banks and FinTech’s are striving to meet their regulatory obligations while providing the best service to their customers. The firms that will succeed are those that “collaborate and work to create new product innovations and better experience for clients” - Chad Ballard, Director of Mobility and New Digital Business Technologies, at BBVA Compass. 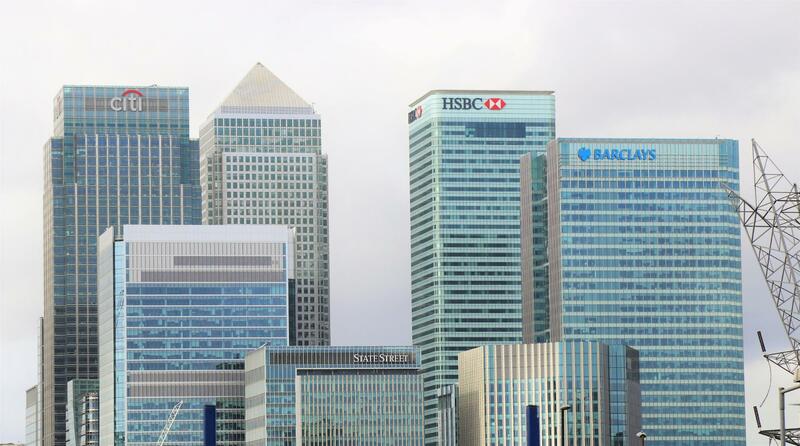 The Financial Conduct Authority (FCA) which regulates UK financial firms, recognises the benefit that FinTech firms can provide consumers. Utilising technology not only speeds up CDD but also can allow firms to adapt more quickly to meet new regulatory requirements. Leveraging technology to verify an individual either through biometrics, instant ID capture and validation, or electronic CDD as opposed to reviewing documents with the naked eye significantly improves the accuracy of CDD as well as the speed and audit trail of the customer onboarding journey. FinTechs not only meet initial CDD obligations, they are perfectly equipped to improve and innovate the ongoing CDD requirements of firms through leveraging numerous data points and employing innovative analytical approaches that banks can not input as easily and efficiently. This dynamic and holistic view of customers is where the true power lies. Data is king and this collection of well structured data provides firms with a better understanding their customers. This can be achieved through, but is not limited to, the use of facial recognition techniques, interactive user interfaces, innovative document scanning and analysis, Internet Protocol (IP) geolocation, predictive analytics and machine learning4 to produce a comprehensive customer profile. With banks closing branches to address customer needs for digitisation, the spotlight is now fully on the digital opportunities in CDD. It is clear that new and emerging technologies have genuine potential to have a transformative impact. Removing the element of human error and increasing the quality of CDD using technology should only be viewed as a strength. The hesitation by regulators and other firms to accept certain technology in the CDD process is often because of the perceived lack of governance and control. What needs to be acknowledged is that with the rigorous testing employed by many FinTechs, the ultimate aim of CDD in mitigating financial crime risk is infinitely more effective than when relying purely on the human element. That is not to say using analysts or branch staff to perform CDD is ineffective, but there are increased opportunities for exploitation when humans are solely relied upon to check the quality of a document they hold against the person in front of them. Technology can offer incomparable opportunity to innovate Customer Due Diligence, reducing crime risk, streamlining processes and reducing overheads. It's now up to the banks to consider this seriously. At Paybase we provide access to compliant, tech-focused solutions for firms requiring eMoney and Payment services. Having been utilising electronic CDD for a number of years on our Payfriendz app we are extremely aware of the benefits that technology can provide to our customers.